The local sheriff’s office took to Facebook to urge motorists not to eat the thawing tenders. 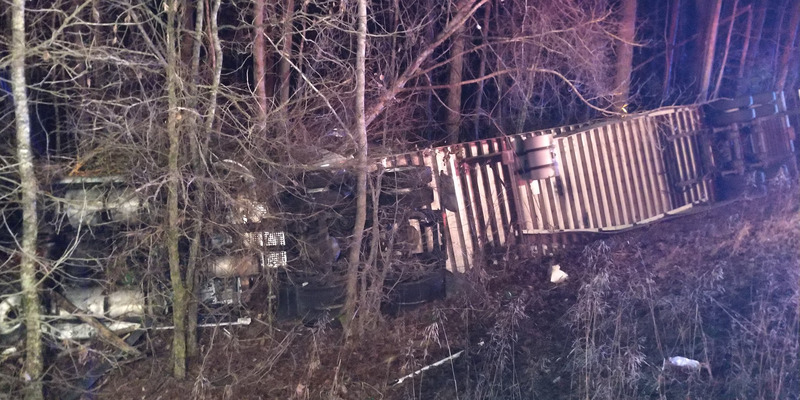 “The Cherokee County Sheriff’s Office is asking that no one try to stop to get the chicken tenders that were spilled from the 18 wheeler accident last night on Highway 35,” the agency posted on Facebook over the weekend. The post went viral and has racked up more than 2,800 shares and 500 comments at the time of writing. The truck driver’s apparent wife, Stacy-ann Smith, also noted in a comment on the Facebook post that the driver and father of her children is safe at home. By Monday, the accident had been cleaned and Highway 35 — about 90 miles northeast of Birmingham — had reopened, the sheriff’s office said.